Obituary for Martha A. Foster | Lynch-Green Funeral Home, Inc.
Martha A. Foster, 91, of 1076 Johnsonburg Road, St. Marys, died on Wednesday, March 27, 2019 at Penn Highlands Elk following a brief illness. She was born on May 24, 1927, in St. Marys, a daughter of the late Ramond and Amalia Fritz Lenze. On Saturday, July 2, 1955 in St. Marys, she married Arthur G. Foster, who preceded her in death on January 23, 2019. Martha was a graduate of Central High School, class of 1945 and was a member of St. Marys Church. She is survived by three sons, Jeff Foster and his wife Mariann of Wyoming, Russ Foster of Oklahoma, and Stan Foster and his wife Barbara of St. Marys, eight grandchildren, Nicole, Stacy, Josh, Cody, Sloan, Amanda, Wyatt, and Maria, and by three great-grandchildren, Dylan, Alexis, and Jenny. She is also survived by a brother, Hilary Lenze of Indianapolis, two sisters, Cecelia Foster of St. Marys and Virginia Moretto of New Castle, as well as by numerous nieces and nephews. 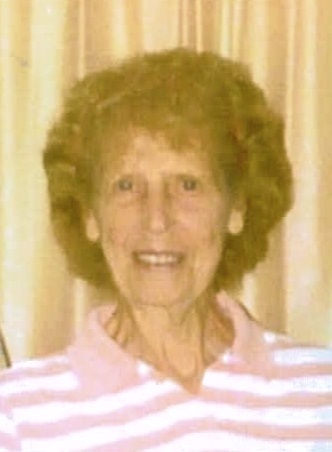 In addition to her parents and her husband of more than 63 years, Arthur Foster, she was preceded in death by three brothers, Othmar, Mark, amd Roger Lenze, by a sister, Mary Whitlock, and by two nephews, Chris Lenze and Lionel (Lee) Foster. A Mass of Christian Burial for Martha A. Foster will be celebrated on Friday, March 29, 2019, at 11:00 AM at St. Marys Church, 315 Church Street, St. Marys, PA 15857 with Rev. Peter Augustine Pierjok, OSB, officiating. Interment will follow in St. Marys Catholic Cemetery. Visitation will be held at the Lynch-Green Funeral Home on Friday, March 29, 2019 from 9:00 AM until 10:30 AM. Memorial Contributions may be made to St. Marys Church, 315 Church Street, St. Marys, PA 15857.